Happy Holidays Everyone, we wish you a very merry time! We have some wonderful jewelry that would make a great tender gift or a special personal pleasure, either one; and until we close for Christmas at 5 pm Christmas Eve every piece will be discounted 10% on purchase. Plus, with every purchase you may enter our grand prize drawing for a $300 gift certificate. 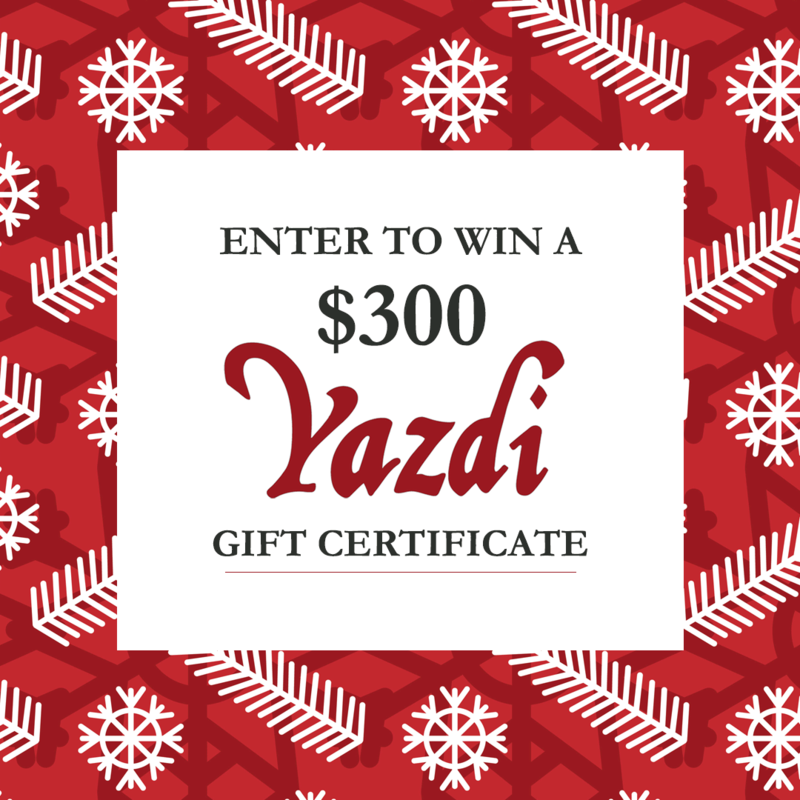 Your chances in this contest are quite good, the prize is excellent, and the $300 Certificate is good for shopping at both Yazdi and Yazdi II. The drawing will be on Saturday, December 30th, just in time to get the new year started with a bang. We sent out a look book email showing winter styles. Click here to view it. Previous PostWould you like a look at our latest email / lookbook?Next PostAnnual Winter Sale Begins Saturday, Jan. 13th. All Clearance racks are now an Additional 20% Off the last marked sale price. Come check out the exceptional markdowns while stock lasts! Copyright © 2019 - Yazdi - All rights reserved.